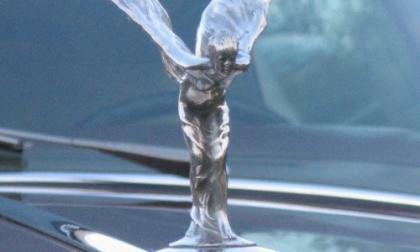 Rolls-Royce Motor Cars, the Goodwood, England-based maker of the world most luxurious automobiles, opened a small showroom today in Paris to showcase its premium motor cars for French buyers. 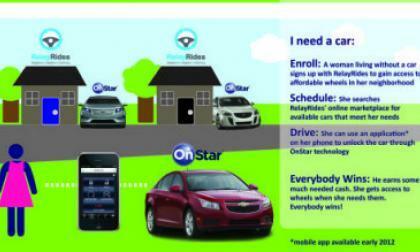 General Motors Company (NYSE:GM) is teaming up with RelayRides, the world's peer-to-peer carsharing marketplace; and OnStar with mobile apps are once again playing a key part. 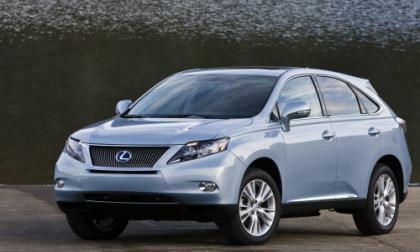 Lexus, the luxury brand of Toyota, keeps making progress rebounding from the March quake and tsunami in Japan. 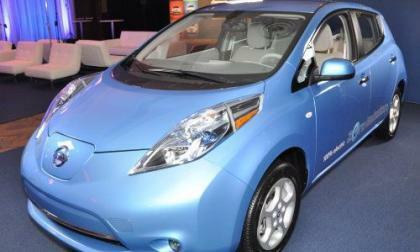 Sales numbers for September 2011 are in and for the sixth month in a row, the Nissan Leaf has outsold the Chevrolet Volt even though the Nissan saw a drop in sales last month while the electric Chevy saw a healthy increase from the month before. 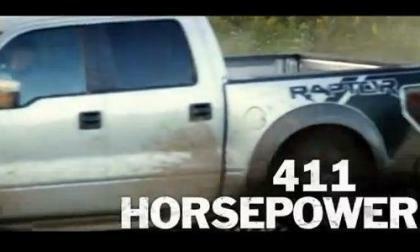 Ford Motor Company and the Special Vehicle Team have introduced a few changes for the 2012 Ford F150 SVT Raptor and unlike the earlier videos that show the Raptor soaring through the air – this new online video segment shows the SVT pickup storming through the mud, dirt and water with few looks at the high performance pickup leaving the ground. 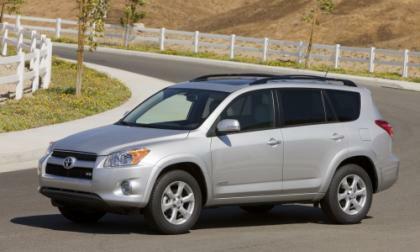 The RAV4, Toyota's premium crossover vehicle, adds new audio systems for 2012 that provide occupants with hands-free phone capability, phone book access and music streaming via Bluetooth. The next step up from the base, the 2012 Toyota RAV4 Limited Grade, adds an optional display audio system with navigation and Toyota Entune connectivity services. 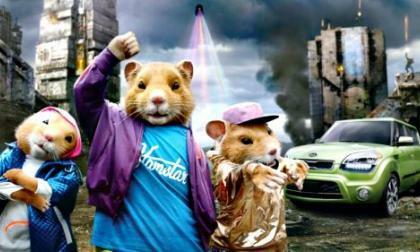 Not content to solely sell cars, Kia’s music-loving Hamsters have been recognized by the Madison Avenue Advertising Walk of Fame who honored Kia's hamsters yesterday with the first-ever "Rookie of the Year" award. 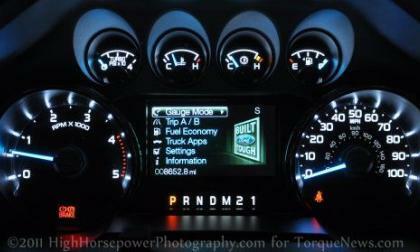 Thanks to some spyshots posted on StangTV, it looks as though the 2013 Ford Mustang will receive the 4.2” information screen previously seen on the Ford F Series (shown on the right), but the mighty Mustang will receive special performance minded gauges and in place of Truck Apps comes Track Apps – including tools to measure the Mustangs performance capabilities. 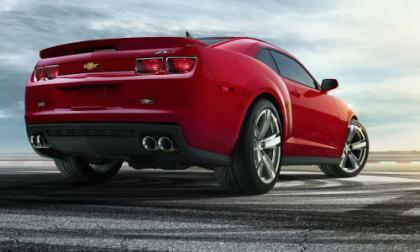 General Motors announced yesterday that they had taken the 2012 Chevrolet Camaro ZL1 to the famed Nürburgring through the world of social media and today, we have our first look at the ZL1 roaring around the massive road course – offering us a virtual ride along in the new super Camaro as it ran a time that puts it on par with some very exotic company. Earlier today we brought you the news of a stop sale order issued by Volkswagen to their dealerships over a concern of fuel rail leaks and now VW has recalled those Jetta, Golf and Audi A3 models powered by the 2.0L diesel engine option. 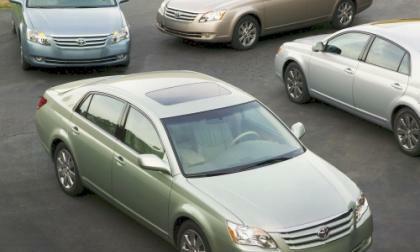 Toyota's 2012 Avalon is in showrooms now. 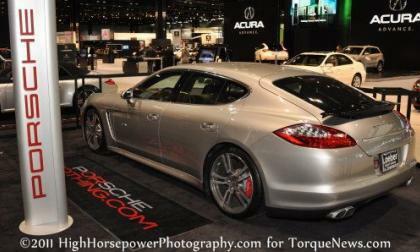 The American-made luxury car has no significant changes for the new model year over 2011, when it got a complete makeover. Ford and The Scotts Miracle-Gro Company are working together to explore the potential of coconut fiber reinforced molded plastic parts to reduce petroleum use while making parts lighter and more natural-looking. Coconut husks, are a waste product from Scotts' soil and grass seed production lines. 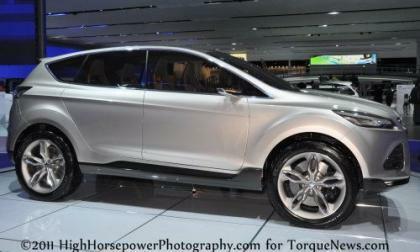 The team is examining their use as a renewable material for Ford's vehicles. 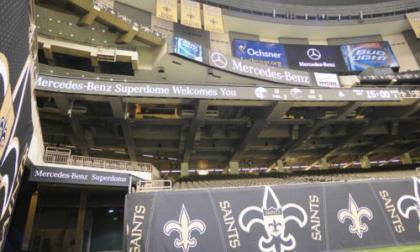 The Mercedes-Benz three pointed star will comingle with the New Orleans Saints fleur-de-lis, as the Louisiana Superdome becomes the Mercedes-Benz Superdome, thanks to a 10-year agreement providing official naming rights and other sponsorship benefits to the U.S. arm of the German manufacturer. 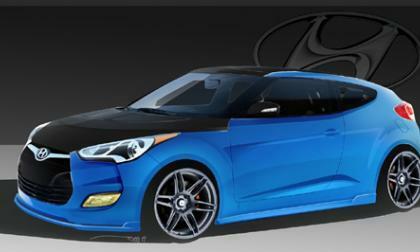 Hyundai has announced the second of its 2012 Veloster models headed to the 2011 SEMA show next month in Las Vegas. This version is being produced by PM Lifestyle, which plans to turn the Veloster into a teaching tool once it sees the bright lights and glitter of the Vegas strip. An interesting fact about the first Macintosh computer was that Steve Jobs wanted it to look like a Porsche 928. 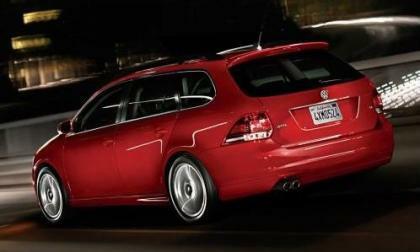 While the designer, James Ferris, thought the Mac should look like a Ferrari. Volkswagen has reportedly issued a stop sale order to their dealerships for select Jetta, Jetta Sportwagen and Golf models fitted with the 2.0L TDI diesel engine over a concern of under-hood fuel line failures that could lead to fire. 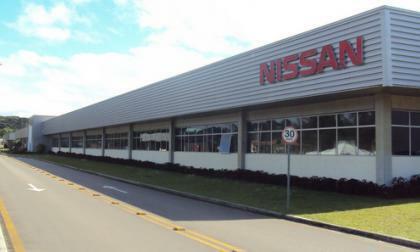 Nissan, and its alliance partner Renault, have both announced aggressive expansion plans in Brazil, which is one of the fastest-growing automotive markets worldwide. You rarely think of an American muscle car as fitting into the category of a supercar but with a recent trip to the famed Nürburgring, the 2012 Chevrolet Camaro ZL1 turned out lap times on par with some of the most well known (and most expensive) supercars in the world with a stunning time of 7:41.27. 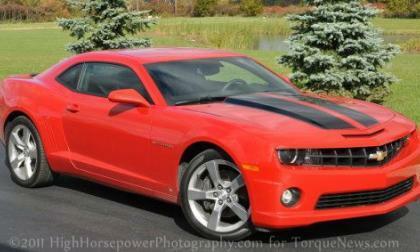 Since the 2012 Chevrolet Camaro ZL1 was introduced with 580 horsepower, rumors have been plentiful that the 2013 Ford Mustang Shelby GT500 would get a new motor to out-muscle the ZL1 with upwards of 600hp and while there are no specifications available, the new Ford-UAW contract has confirmed that the 2013 GT500 will indeed sport a new 5.8L V8 engine. 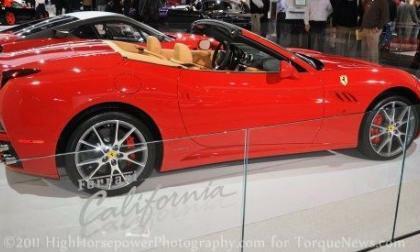 Ferrari California comfortably drives both on asphalt and on the snowy mountainous roads. 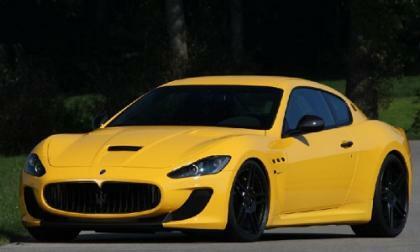 Look and see what German tuning company Novitec Tridente has done to Maserati Gran Torismo MC Stradale. When Maserati was unveiling MC Stradale in Paris Auto Show in 2010 it would probably did not envision this new beauty and muscle. 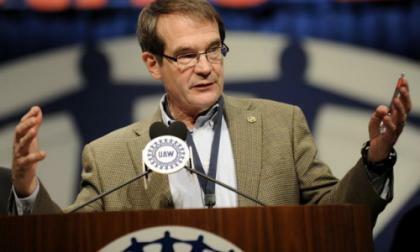 UAW-Ford contract: Will auto workers do what they want or do what they're told? The UAW's handshake deal with Ford Motor Co. is so sweet that the union council that endorsed taking the four-year contract to the membership for ratification isn't worried about backlash or backtalk from the rank and file. And neither is the UAW's brass. 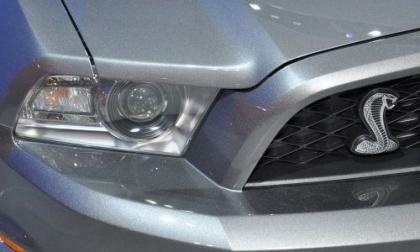 Read more about UAW-Ford contract: Will auto workers do what they want or do what they're told? 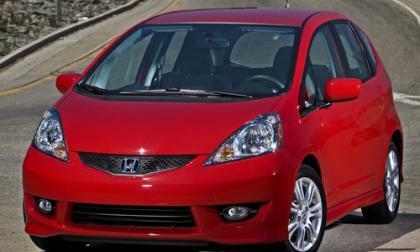 Honda will move half or more of its production to different countries to combat the rise of the Japanese yen, which causes profit margins on exported cars to shrink. 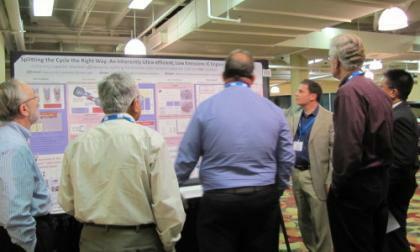 For the second year in a row, Dr. Oded Tour, CEO of Tour Engine presented during poster presentations at the Directions in Energy-Efficiency and Emissions Research (DEER) Conference in Detroit, and garnered a healthy interest, including a visitor from Volvo. 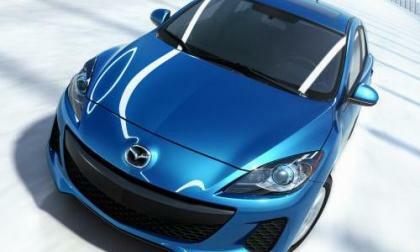 The ubiquitous Mazda3 has been responsible for 40 percent of Mazda sales thus far this year, and returns refreshed for 2012 with SKYACTIV technology resulting in higher efficiency and performance while still delivering a lower price than last year’s model. Have you every thought about what sort of grueling testing a car goes through before you are allowed to drive it on the road? 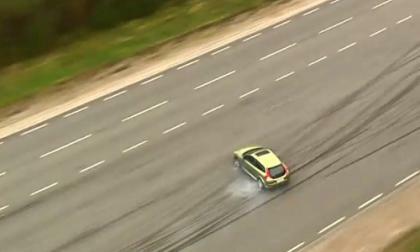 With a new Youtube video by Volvo shoot at its top secret proving ground in Hallered, Sweden, you can see the testing process every 2012 Volvo car goes through and those that have not quite made it onto the production line. 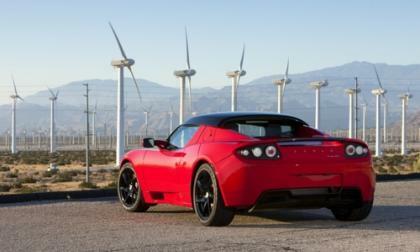 Tesla Motors, the electric car company that makes and sells the Tesla Roadster, is expanding its international operations in the Netherlands, opening a new dealership showroom and service center in Eindhoven. 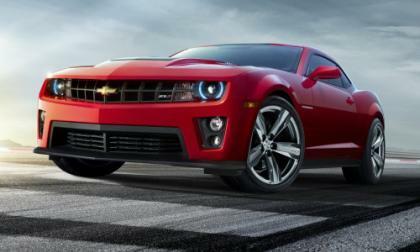 Sales numbers are in for September 2011 and for the 8th month this year, the Chevrolet Camaro has outsold the Ford Mustang, the Dodge Challenger and the Nissan 370Z – continuing the Chevy muscle car’s dominance of the rear wheel drive segment that has gone nearly unchallenged in 2011. The next generation of the strong selling Ford Escape small SUV is expected to make its grand debut later this year at the 2011 LA Auto Show but yesterday, Ford Motor Company offered up some information on the upcoming ute – including the fact that it will be the first US model to offer two engine options featuring Ford’s EcoBoost technology. 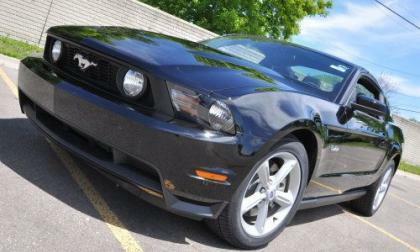 Rumors have been swirling that the Ford Mustang would be leaving its current home in Flat Rock, Michigan when the Mazda6 sedan moved production to Japan but thanks to the new Ford/UAW contract, it looks like the next generation Ford Fusion will be built alongside the Mustang – saving the production facility of the fabled pony car.